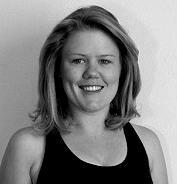 Gill graduated from her Teacher Training in 2014 and since then has been teaching across Perth, Melbourne, Launceston, Jakarta, Copenhagen, and Oslo. Gill was drawn to yoga in 2010 due to chronic pain that was starting to interfere with her life and her work. She was surprised at how much yoga eased her pain, healed her whole body, and calmed her mind. The transformation of herself, and those around her is what really inspired her to want to teach. No matter who or where you are, Gill believes this practice can help you.